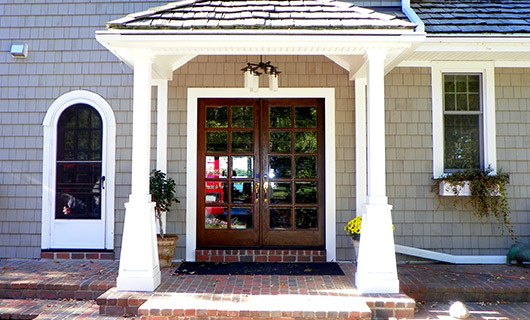 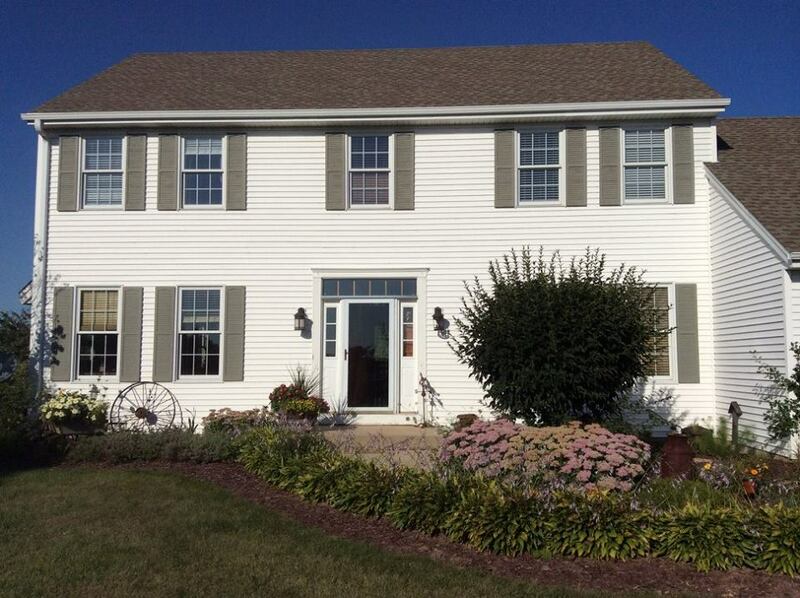 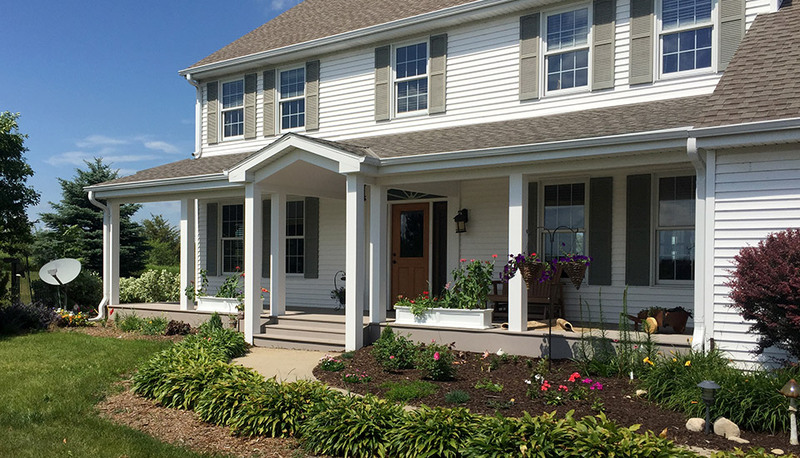 Our client was looking to add a custom, beautiful, and functional front porch to their home. 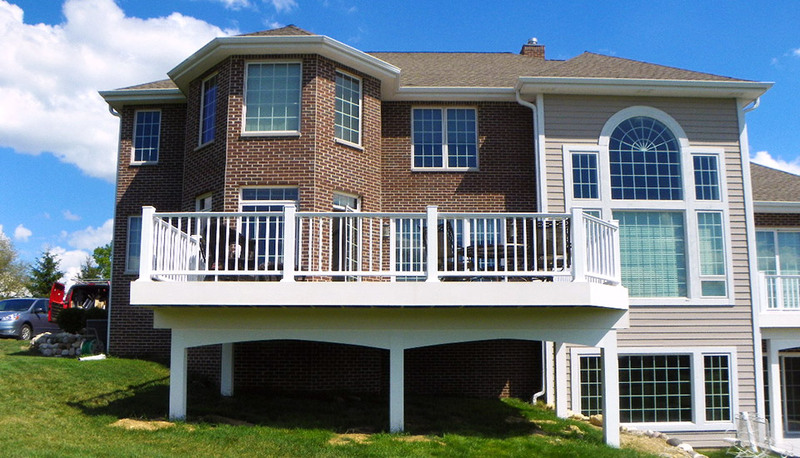 We removed the existing concrete steps and used slate gray-colored Azek composite decking that our clients hand selected. 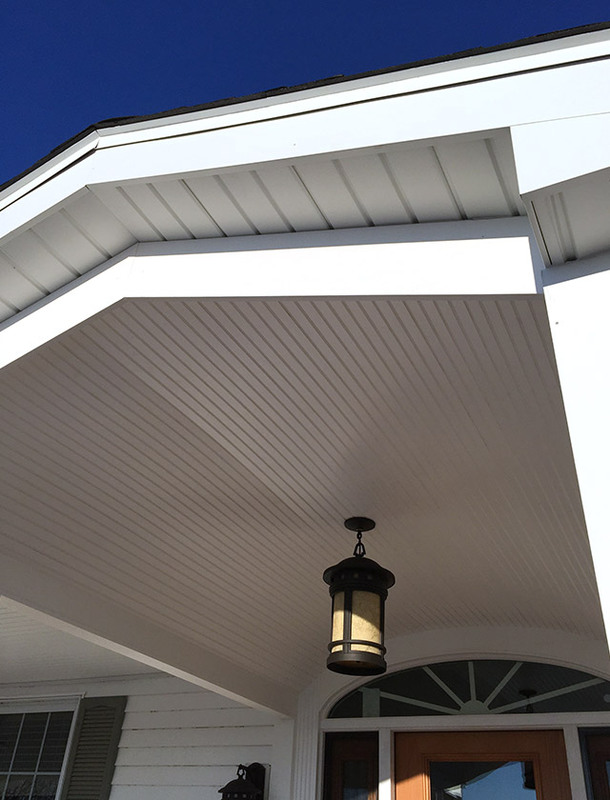 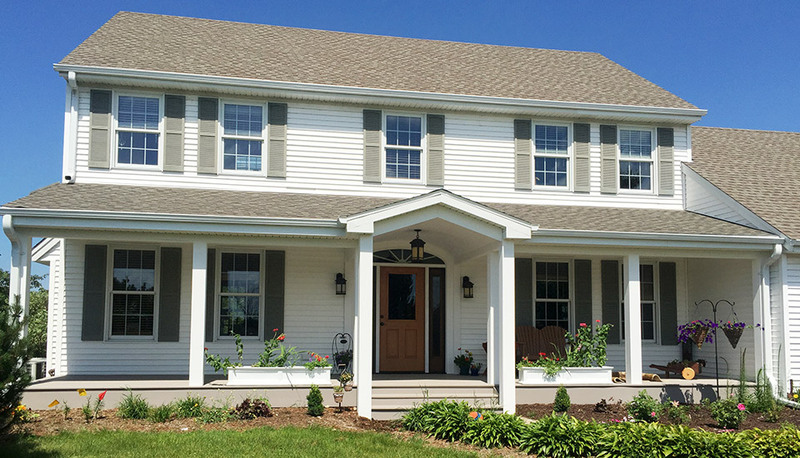 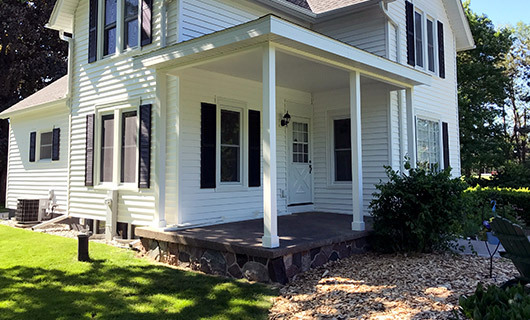 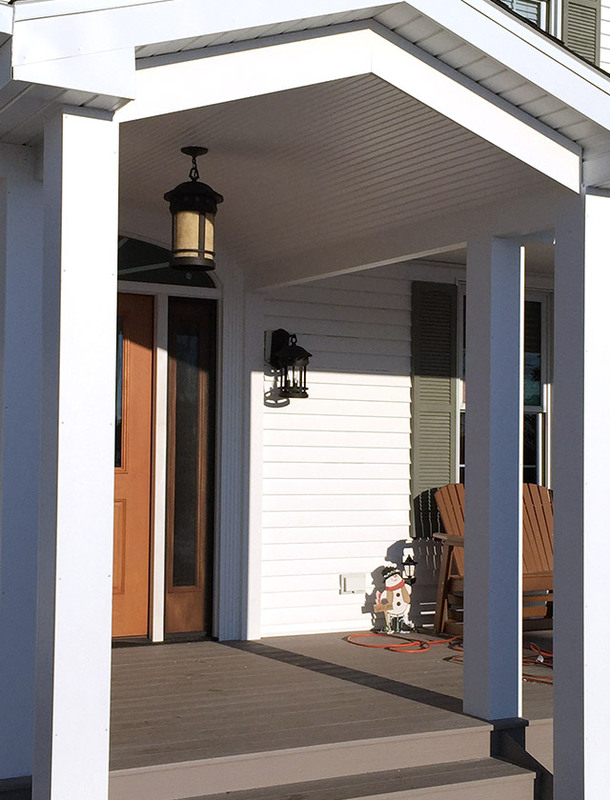 White columns were placed along the front of the newly-established porch to help support the additional roofing added to cover the area and to add dimension to the home. 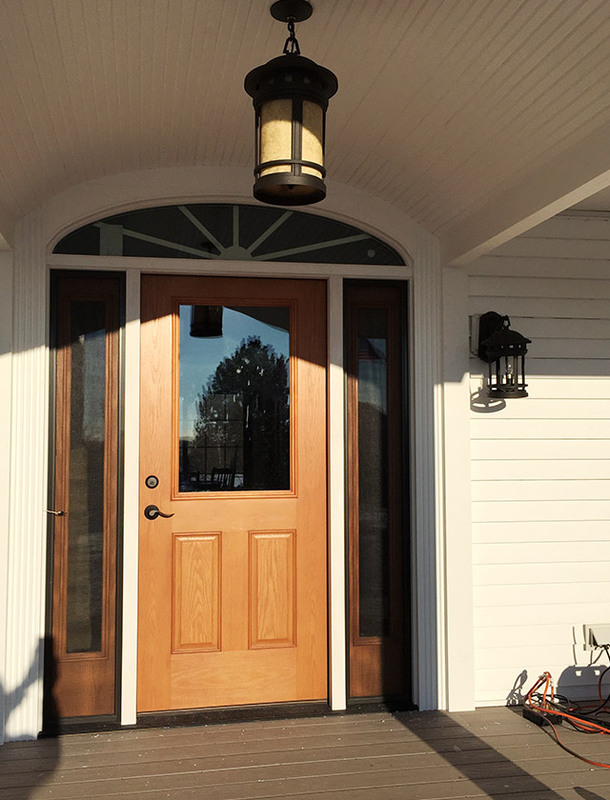 A beautiful barrel ceiling composed of Azek Beadboard frames the entrance to the porch and to the home, all leading up to a Therma-Tru custom front door with sidelights and a half-moon transom. 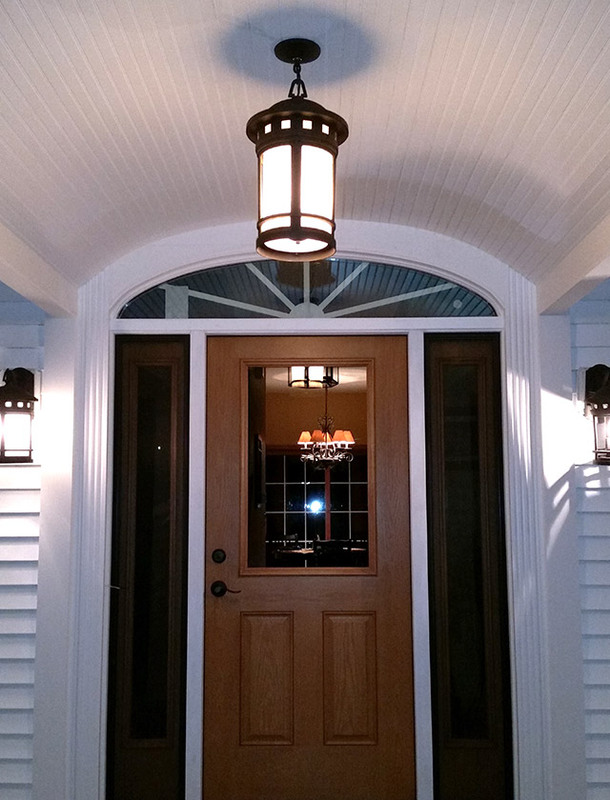 To complete this custom entryway and to make it the perfect space for enjoying the outdoors, we installed a Bluetooth speak and light system.